In many countries, seafood is a staple in their citizens' diets. They feast on various fish, shrimp and shellfish. While fishing provides many places with the amounts they require, the practice is not sustainable in the long run. People consume large of quantities of seafood, which means they need another source for provisions beside fishing to accommodate them. This has caused fish marketers to turn to farming fish. However, consumers want to know where their food is coming from, which means companies need to follow guidelines to ensure people receive the information they desire and that the supply chain remains sustainable. As sustainability becomes a larger issue for consumers and the debate over genetically modified foods continues, companies must be open about where they are sourcing their provisions. People desire transparency throughout the supply chain. They want to know where their food is coming from and the farming methods those locations use to catch the food consumers require. To accommodate this need, businesses should be open about their procuring and purchasing habits. The U.S. Department of Agriculture created the Country of Origin Labeling laws to fulfill this desire, and the ruling covers seafood, fresh meat, fruit, vegetables and nuts. Under these regulations, companies must label their food with where it was sourced in a way that people will understand. When it comes to seafood, retailers must also specify whether their food is wild or farm-raised. This allows consumers to buy the products they desire from the region they want they want. More people are interested in buying local and homegrown items, which could boost the domestic economy. Because of the desire to buy local and sustainable products, consumers do their research before purchasing. However, this ability may soon change. In May, the World Trade Organization deemed the COOL law discriminatory, as it potentially harmed business for Canadian and Mexican companies, Food Safety News reported. The U.S. would be required to pay $3 billion in penalties because of lost revenue. To counteract this, Congress has proposed repealing the mandatory COOL law and replacing it with the Voluntary Country of Origin Labeling and Trade Enhancement Act of 2015, which would allow businesses to choose whether or not they label their foods. While, at the moment, this law only applies to meat, it may expand to seafood at some point. This may be beneficial for other countries and companies. In August, Alphin Brothers Inc. pleaded guilty to making false records and mislabeling their shrimp. 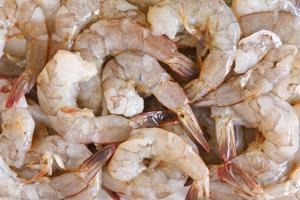 Nearly 25,000 pounds of farm-raised shrimp were labeled as wild-caught and sold to consumers in Louisiana. The company was required to forfeit more than 20,000 pounds of shrimp and pay $100,000 in fines. Alphin Brothers was also placed on a three-year probation and will need to have all its employees participate in a training program on federal labeling requirements. While the voluntary regulation will help businesses such as Alphin Brothers and other countries like Canada and Mexico, it may prevent consumers from finding out where their food has come from. They will no longer know the country of origin or how it was procured through simply reading the label unless companies decide to voluntarily add them to the package. Local purchasing may become more difficult as shoppers will need to resort to other methods to acquire the information they want. The Voluntary Country of Origin Labeling and Trade Enhancement Act of 2015 will expand the supply chain for suppliers, as they will face less competition from locally grown products.